If one were to try to pick the exact date that the contemporary conflict in the North Caucasus turned dramatically in favor of the Russians, it would be September 1, 2004. However, it was not, as many have suggested, that the Chechens lost as much as the Russians won – despite the incredibly high casualty rate. 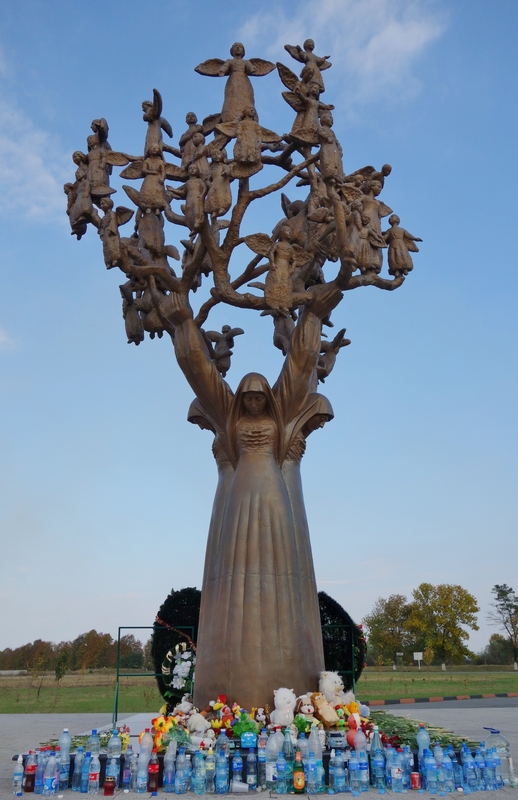 On September 1, 2004, over 1,300 children, parents and teachers (who had all gathered to celebrate the opening day of the school year) were taken hostage at School Number One in Beslan, North Ossetia by at least 32 Chechen and Ingush terrorists from the “Riyadus-Salikhin Reconnaissance and Sabotage Battalion of Chechen Martyrs” – a group belonging to Shamil Basayev who was (ostensibly) an independent warlord at the time. Some were killed in the early stages of the attack on the school, but most of the teachers, parents and children were rounded up and herded into a gymnasium at the school. The terrorists demanded the Russians leave Chechnya; the Russians said they would not give in to terrorist demands (but publicly claimed that the terrorists had not made any demands), and a tense standoff ensued. Two days later, something exploded in the gymnasium that set off a deadly chain reaction. Some claim they saw the Russians fire an anti-tank missile into the gym to initiate an attack, while others claim a terrorist was careless and allowed an explosive charge to go off by accident. Regardless of how it started, once the explosion went off, the Russians fired on the gym and began an ill-coordinated assault with tanks and other heavy weaponry; the terrorists fired back. 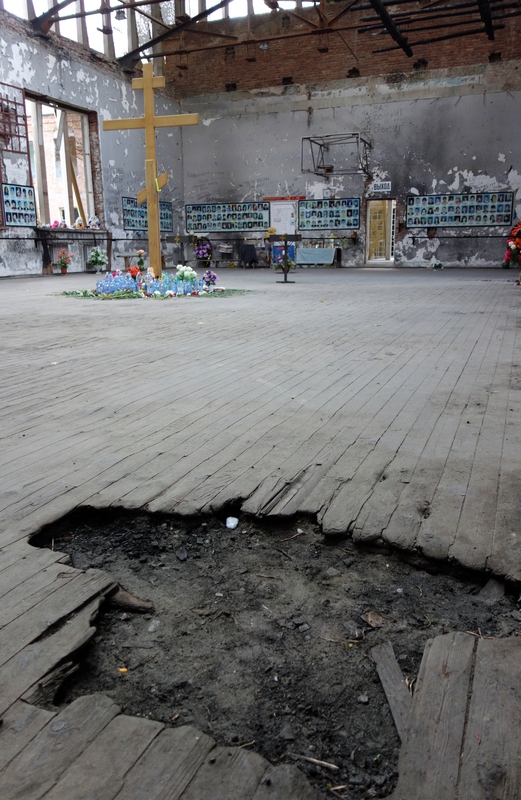 The resulting fires detonated some of the terrorists’ explosives; the gymnasium roof collapsed and a battle raged on for hours with civilians – mostly children – caught in the crossfire. More than 1,000 people were injured and over 400 killed – at least 186 of them were children. 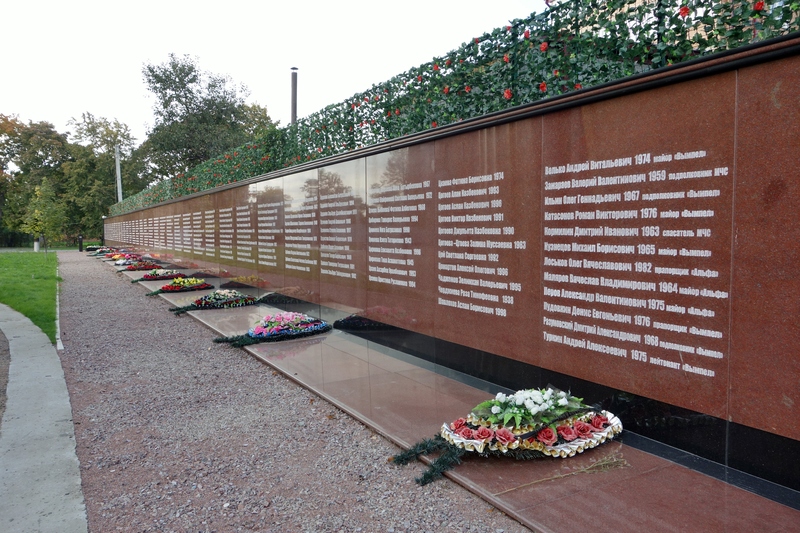 The Russians later revised the number of dead to 334, but close to 200 people remain missing or unidentified and are, therefore, not counted as part of the official death toll. All three of the Russian Spetsnaz (special forces) assault commanders were killed along with a number of their team members. Readers may be curious about the symbolism of all of the water bottles… The terrorists refused to allow the hostages any food or water and, bear in mind, this was still during the hottest part of the summer. After two days of being crammed into the stifling gym, children (and some of the adults) were collapsing from dehydration. Conditions were so desperate that some hostages drank their own urine. However, in my opening remarks, I alluded to this incident being a victory for Russia. 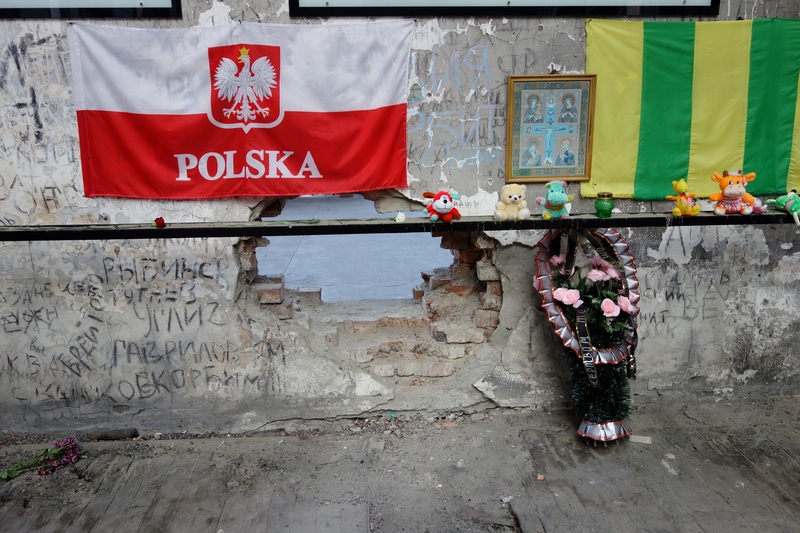 And our fixer – who is North Ossetian – went so far as to say that Russia wanted this tragedy. But how could this be a victory? Why did Russia want this tragedy? 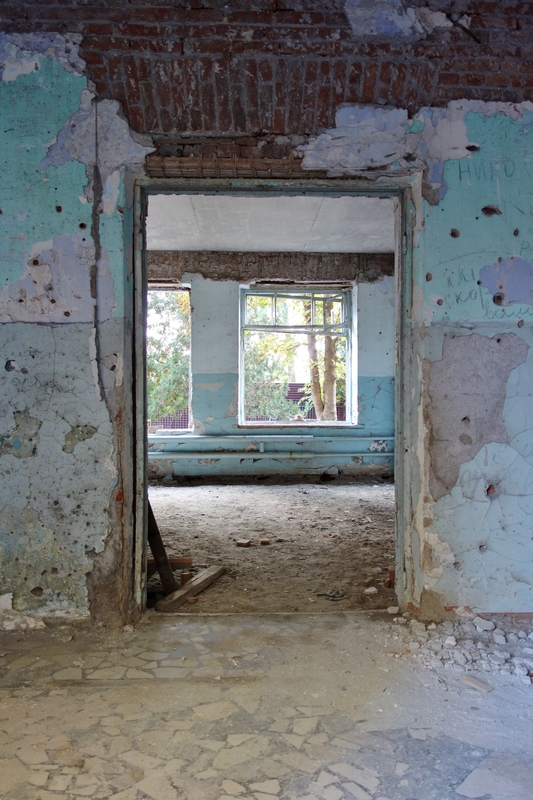 Once the terrorists seized the school, the Russians moved quickly to take control of the situation, deploying huge numbers of military and police forces to seal off the area and prepare for an assault, while Kremlin officials quickly moved in to take over from the local authorities. Immediately designating the area part of a counter-terrorism operation, the Russians were legally able to control press access, and in cases where it would have been politically imprudent to deny access outright, the FSB found ways to prevent non-approved journalists from reaching their destination – ranging from trumped up arrests (Andrei Babitsky) to even the poisoning of journalists (Anna Politkovskaya). 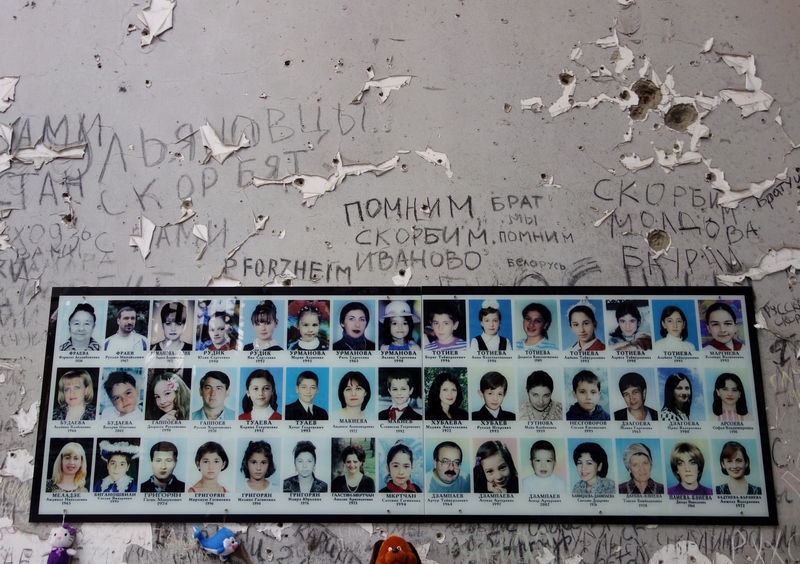 Reporters who did make it to Beslan had to work under tough security restrictions; the authorities might not have been able to control what actually happened, but they took a page from their Communist past and re-learned how to control the narrative of events so that official statements became the truth. The reporters, who had no independent access, were unable to do anything but relay what Russian officials told them – but in so doing they provided a sheen of legitimacy to the prepared statements of the government. Negotiators were forbidden from disclosing the demands of the hostage-takers as well as the number or even the nationality of the terrorists; local doctors had their mobile phones confiscated so they could not report on the severity of injuries; family members were prevented from visiting the injured in the hospital and those who escaped the terrorists were prevented from speaking to journalists. As part of the overall media campaign, specific instructions were issued to the media about what could and could not be said. 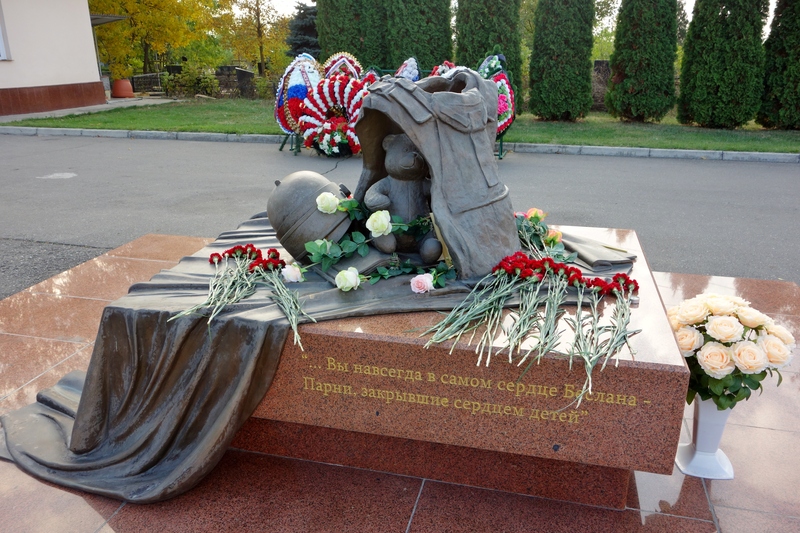 As a result, President Putin’s name was not mentioned in any of the reports regarding Beslan, effectively cutting off discussion of any possible relationship between the president’s policy toward Chechnya and the actions of the terrorists whose sole demand (independence for Chechnya) was never released to the public. To minimize the effect of the school seizure on the rest of the Russian population and prevent them from calling for actual negotiations, the number of hostages was consciously misrepresented to the media as 25% of the actual number. Shamil Basayev, who was not with the terrorists at Beslan personally, wrote the Chechen demands to President Putin; and despite the fact that the demand note was given to the president of Ingushetia (the chief negotiator) – who turned it over to the authorities – neither the note nor its contents were released to the public. This served to keep the myth of this being an attack by bloodthirsty “international terrorists” alive and distanced the Chechens from the attack altogether. In the note, Basayev wrote, “The Chechen people are conducting a national liberation struggle for our freedom and independence, for our self-preservation, and not to destroy Russia or humiliate it. Being free, we would be strong neighbors. We offer you peace, but the choice is yours.” The demands were to recognize the independence of Chechnya and Russian troop withdrawal – to restore the Khasavyurt Accord (The Khasavyurt Accord was an agreement signed by Boris Yeltsin and Aslan Maskhadov – the president of the Chechen Republic at the time – in a Kremlin ceremony on May 12, 1997, that ended the First Chechen War by establishing the independence of Chechnya and ordering a withdrawal of all Russian forces from Chechnya). However, Kremlin information control prevented the terrorists from using the hostages as bargaining chips and mobilizing the uncommitted Russian population from rising en masse to force the government to save the children. Considering that a majority of the Russian people originally supported the Khasavyurt Accord and the fact that, culturally, Russians place a very high value on children, it would be reasonable to assume that such a demand would have resonated with a large part of the population. However, because of the information lockdown, the public didn’t know about the note, that the attack was related to the Chechen insurgency, or that large numbers of children were being held. As far as they knew from the “independent” journalists reporting from the scene, a small international terrorist situation was developing in North Ossetia for which nothing could be done because the terrorists had made no demands. In addition to keeping terrorist demands unreported, the Russians prevented Aslan Maskhadov from coming to the scene and mediating. Maskhadov, who did not condone the terrorism waged by his fellow countrymen, had tried to mediate at the Dubrovka Theater incident as well. The Russians were afraid that if Maskhadov was allowed to talk to the terrorists, he might be successful in negotiating a peaceful resolution. And although that would have been good for the children being held hostage, it would also give legitimacy to Maskhadov’s position as the president of the Chechen Republic and put a human face on the insurgency again. In order to maintain the “international terrorist” story, Maskhadov was not allowed to intercede on behalf of the hostages. Prior to September 3rd, when Russian special forces assaulted the school and the shootout began, the Russian government had been releasing reports to foreign news agencies, especially those with close Russian ties, to bolster the “international terrorist” theme. For example, on September 3rd, the Sofia News Agency published a report entitled “Al Qaeda Financed Seizure of Russian Hostages”. Once the assault had begun, the Russian press was already broadcasting that out of the terrorists killed during the shootout, “10 of them turned out to be natives of Arab countries and 1 was a black man.” Later analysis would show a very different story. The reported “black man” from Africa turned out to be a native Chechen and the only international terrorists turned out to be two British-Algerians. The rest of the terrorists were all homegrown – the overwhelming majority coming from Chechnya (12) and Ingushetia (16). Later, numerous reports in the Russian press pointed out the conscious inaccuracies broadcast by the government; Moskovskii Kossomolets ran a week-long series entitled “Chronicle of Lies,” and other Moscow dailies like Izvestia and Vedomosti also ran exposés. The result was that some editors were “resigned,” while President Putin lashed out at anyone who tried to link the attack with his Chechen policies on the grounds that no one had a right to tell Russia it should negotiate with child killers. The other reason to not release the identities of the terrorists was to keep ethnic unrest and violence from escalating between the Ingush and North Ossetians. The single terrorist captured alive by the Russians, Nur-Pashi Kulayev, reportedly told the Russians that the school in Beslan was chosen specifically to foment unrest between those two regions, to reignite the historical grievances over the Prigorodnyi region and to drag Ingushetia into the greater regional insurgency. It is probable that the Russians identified this threat early on and attempted to downplay the “separatist” angle, as it was obviously part of Basayev’s plan. Shamil Basayev’s own account states that he sent “twelve Chechen men, two Chechen women, nine Ingush, three Russians, two Arabs, two Ossetians, one Tatar, one Kabardinian and one Guran” (another ethnic group that lives in Russia). By refusing to release the identities or reveal the presence of a “demand note” until forced to disclose it during Nur-Pashi Kulayev’s trial, the Russians could continue to keep hammering the “international terrorism” theme, and by the time the truth came out, the campaign had already achieved its objective and no one really paid attention. 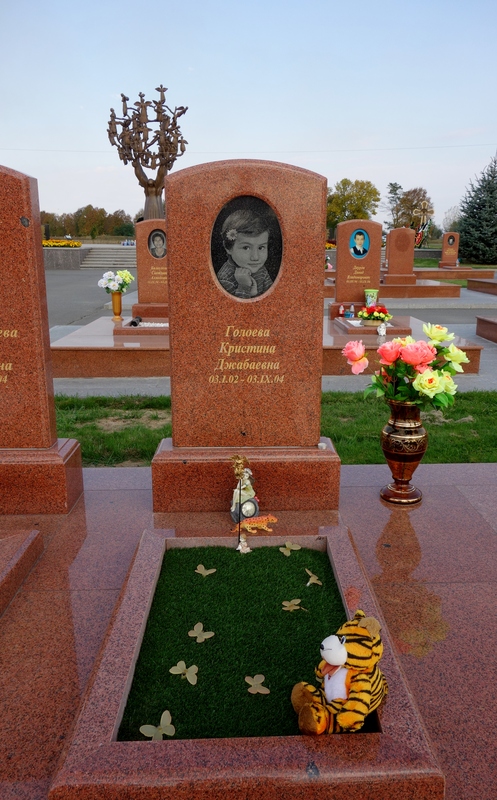 The fallout from the Russian assault was enormous once the enormity and horror of seeing so many dead and injured children began to manifest itself in the minds of Russians. But remarkably, blame and anger were directed at local and regional law enforcement and government organizations; the central government was largely spared from recriminations. How did the Russians accomplish this? 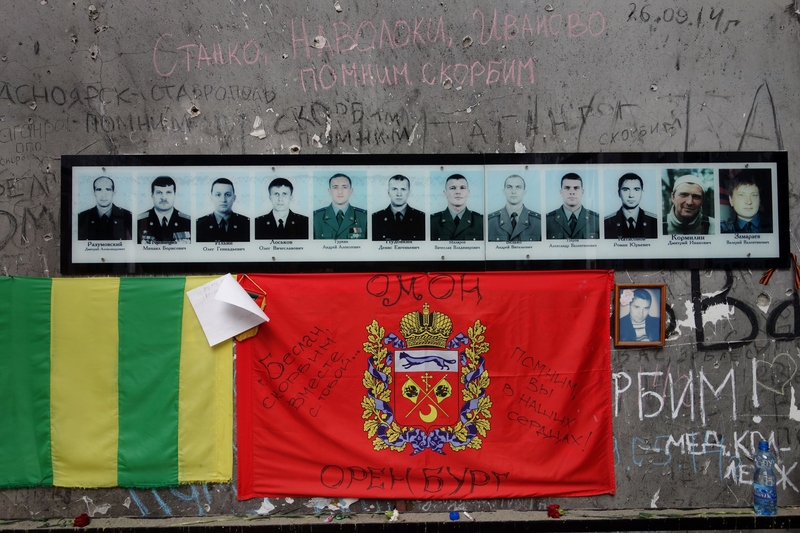 After Beslan was over, the government information campaign went on the offensive in order to deflect any criticism of Russian actions. During the assault, the Russians used tanks and flamethrowers and some human rights organizations claim that up to 80 percent of the hostages were killed by indiscriminate Russian fire. When the European Union demanded an explanation for the bloodshed, the Kremlin bridled at the question and denounced it as “blasphemous”. The Russians made it less complicated for themselves by tightly controlling the information during the crisis, making it much easier to place full blame on the terrorists afterwards. Because the truth is – regardless of how one analyzes the effectiveness of the Russian hostage rescue operation, the wisdom of using heavy weapons when children were involved, of which side initiated the explosion that triggered the assault and what the Russians did or didn’t do to find a peaceful resolution – the incident occurred because terrorists seized a school. The horror of taking school children as hostages had been a hideous gamble that failed, and the horror of such an attack gave the Russians virtually unlimited support from the international community. Basayev would later say that he couldn’t believe the Russians wouldn’t negotiate to save their children. He guessed wrong. Some conspiracy theorists say that the Russians had nothing to lose by assaulting because any dead children would be blamed on the terrorists and such a heinous act could never be justified. Whereas the West had been speaking out against human rights abuses in Chechnya before September 2004, Beslan silenced any and all criticism. President Bush called Putin to say that they were “standing shoulder to shoulder in the fight against international terrorism.” “No cause can justify such wicked acts of terrorism,” read a message from British Prime Minster Tony Blair. President Putin then called for a meeting of the UN Security Council which subsequently issued a statement condemning the attacks as a threat to international peace and security and launched Russia onto the front lines of the War on Terror. 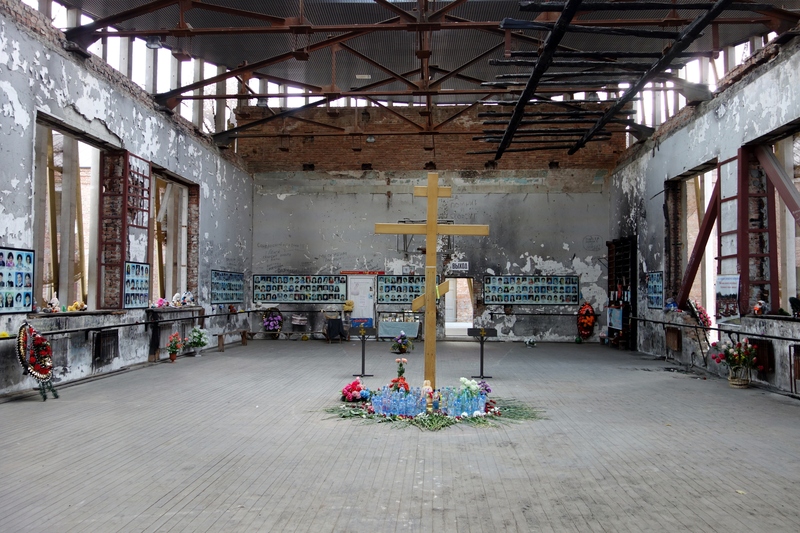 If President Putin had been losing domestic support before Beslan, this most terrible of attacks put him firmly back in the driver’s seat and cemented his position – and with that renewed mandate, he took decisive action. 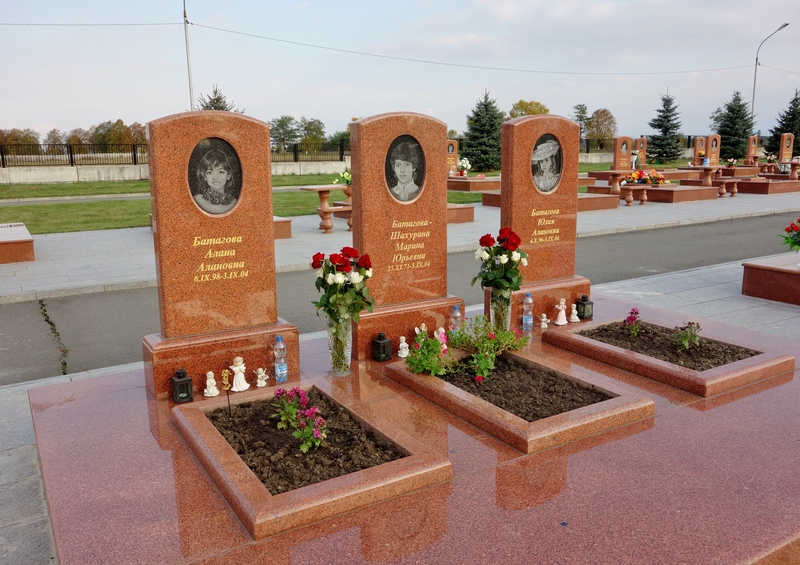 Although some claim that it was the death of Basayev that led to a dramatic downturn in terrorist attacks within Russia, the nature of Chechen attacks after Beslan demonstrates that it was actually the Russian response to Beslan that stopped the terrorism (I am drawing a distinction between terrorist attacks that target civilians and insurgent attacks that target government forces and facilities). In a 2005 interview with the BBC, Basayev stated his incredulity that President Putin did not consider bargaining with him when the lives of children were at stake. It was the realization that Putin would not negotiate under any circumstances, coupled with the fact that the Russian population would not turn on their government that finally changed the nature of the conflict. Shamil’s urban terrorism strategy was beaten by Putin’s iron will, his reorganization of the government to give him more executive authority and his ability to control information – but at a great cost to Russian society. What should have been a crushing blow for the Russians (given how they mishandled Beslan), turned out to be the end of Basayev and his way of war. 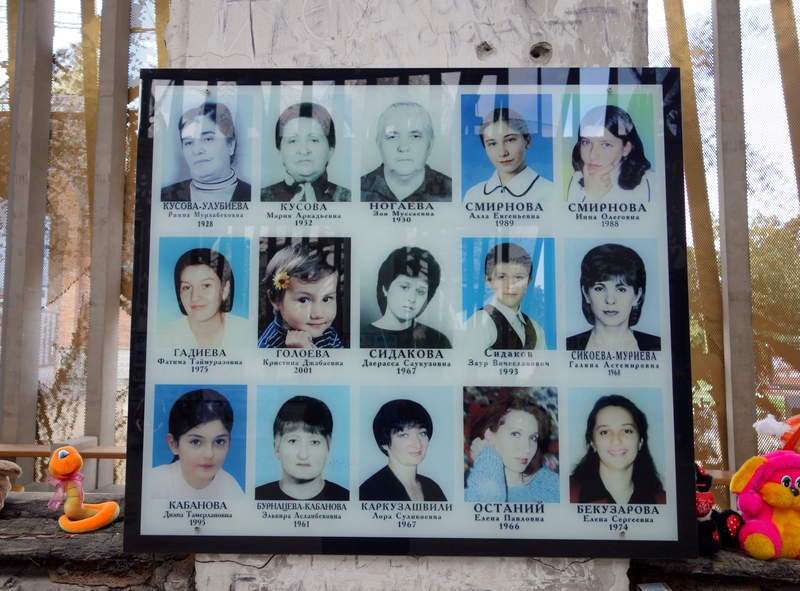 Although Basayev went on to state in the interview that he considered the Russian population responsible for the conflict because they supported the war (and thus appeared to condone future attacks against the Russian population), the number of attacks – both terrorist and insurgent – dropped sharply after Beslan. 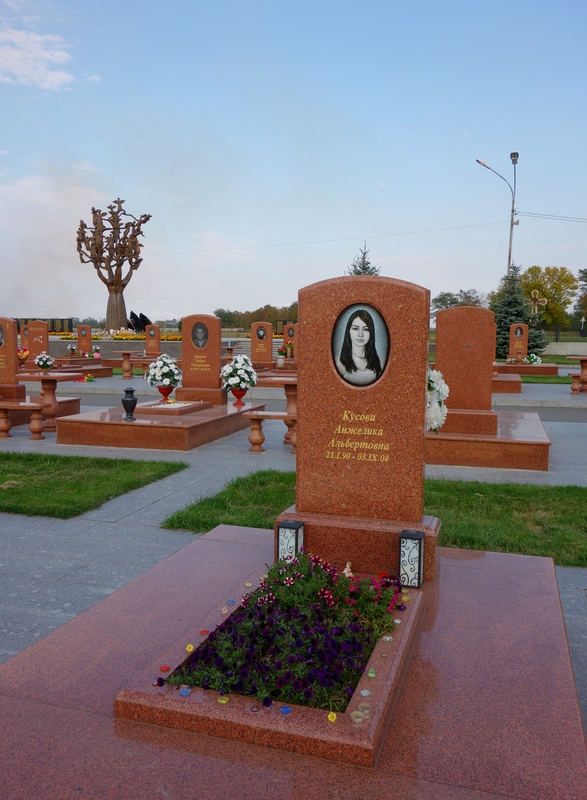 And even though civilians were killed in Basayev’s last major attack, the October 2005 Nalchik raid (the capital of the Kabardino Balkaria Republic), the raid was directed exclusively at Russian security forces and the buildings they occupied. After Basayev was killed in July 2006, terrorist attacks – attacks on civilian targets – largely disappeared. 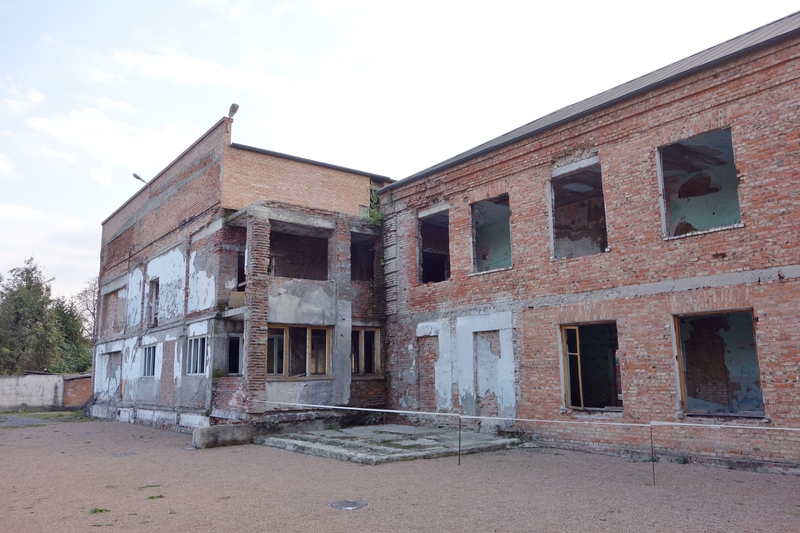 1) As I observed previously when discussing 1992’s Ingush–North Ossetian East Prigorodny conflict, Beslan’s School Number One was used by North Ossetian nationalist militias as an internment camp for ethnic Ingush civilians during that period. These Ingush civilians were allegedly kept in the same gymnasium and were deprived of food and water; several dozen Ingush were executed. The Russian government denies any connection between these two events, but that seems like a hell of a coincidence to me. 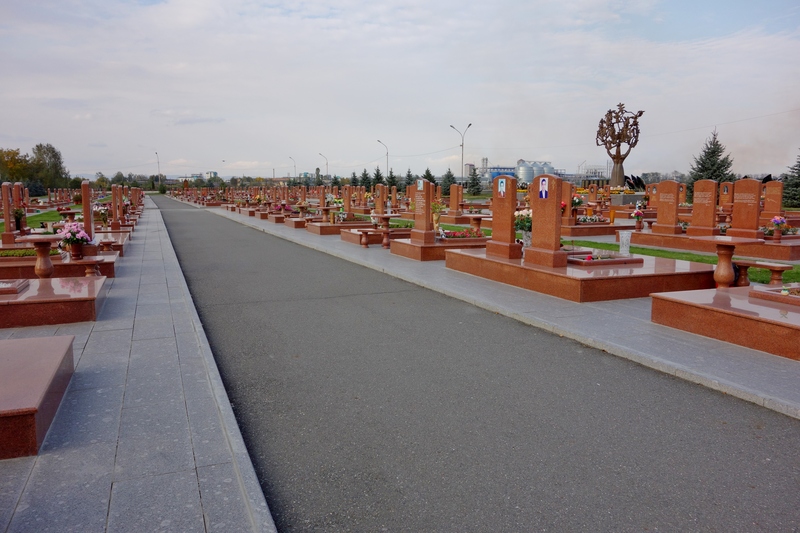 What could be more symbolic to the Ingush terrorists than returning the favor at the exact same school? 2) The Chechens have always denied responsibility for the series of apartment bombings that tore through Russia in September of 1999 and served as a trigger for the start of the Second Chechen War. There is a fair amount of circumstantial evidence (including FSB agents arrested after being caught red-handed planting devices) to suggest that the bombings were a false flag attack carried out by the FSB to legitimize the resumption of military activities in Chechnya and bring Vladimir Putin to power. However, I’ll leave that discussion to the conspiracy theorists… What is interesting in the context of this article is that Basayev, while still denying involvement, offered to publicly take responsibility for these apartment bombings in the demand letter to the Russian government. This infrequently reported fact would seem to support the conspiracy theorists in regard to the apartment bombings, but also shows that the Beslan terrorists were trying to negotiate with the Russian government. 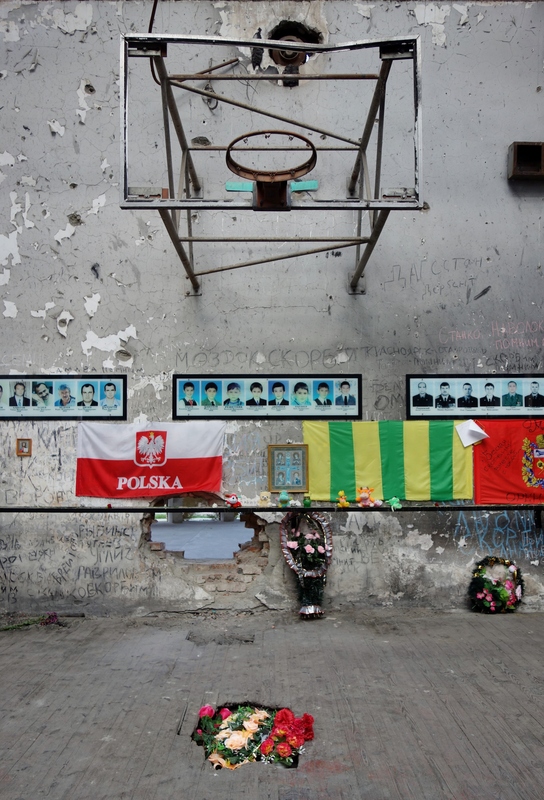 3) Some of the terrorists responsible for the Beslan massacre may have escaped. 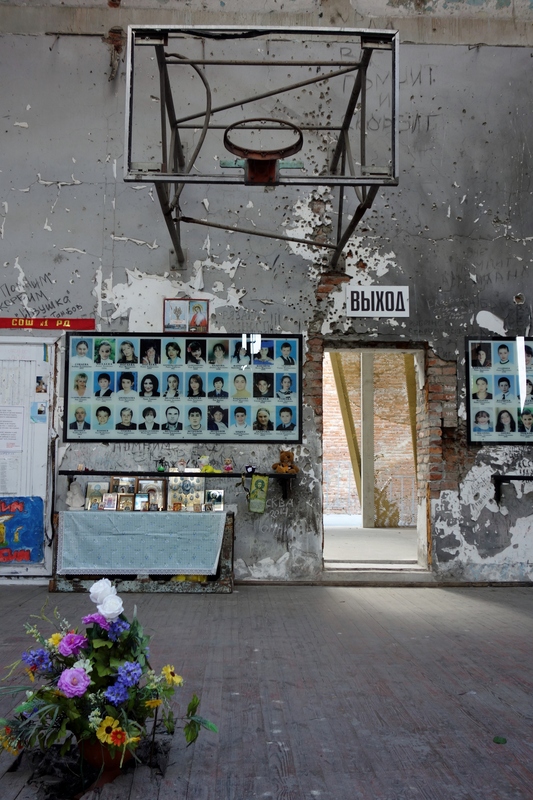 The fighting at the school went on for hours and as darkness fell, the fighting spread to buildings near the school and even into the town of Beslan itself as terrorists broke out of the military cordon. The official report states that there were 32 terrorists involved, but many hostages and witnesses report that there were far more than that. Several independent investigations also concluded that more than 32 terrorists were involved in the attack and that at least several successfully slipped through the military cordon and managed to escape. And, lastly, Basayev himself stated that one of the terrorists had managed to escape the scene. 4) One man, suspected of being an escaping terrorist, was lynched by a mob of civilians at the scene. This event was captured by a Sky News film crew. 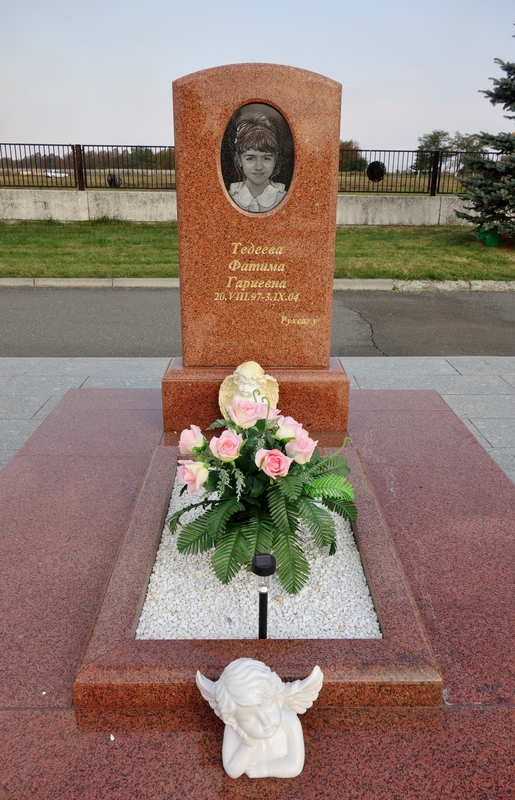 5) The only surviving terrorist in the Beslan attack that we know about is Nur-Pashi Kulayev. Only snippets of his confession and trial were shared with the public and, following his conviction in 2006, he has disappeared into the Russian prison system (some question if he is even still alive). In one part of his statement that was released to the public, Kulayev stated that the leader of the group of terrorists – a Chechen man nicknamed “Polkovnik” – had shot another terrorist and remotely detonated two female suicide bombers inside the school after they raised objections to the involvement of children. 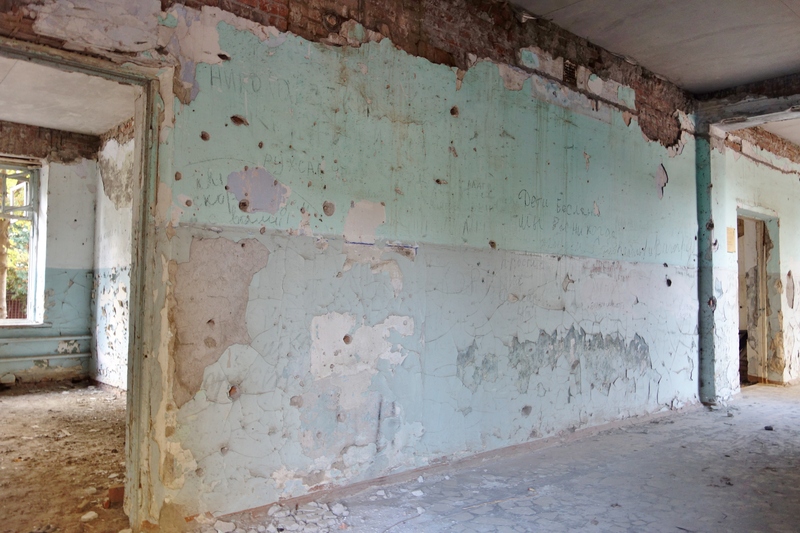 6) Although the following has been officially rejected by the Russian government, several hostages in Beslan reported that they were forced to assist the terrorists remove weapons from caches hidden across the school. 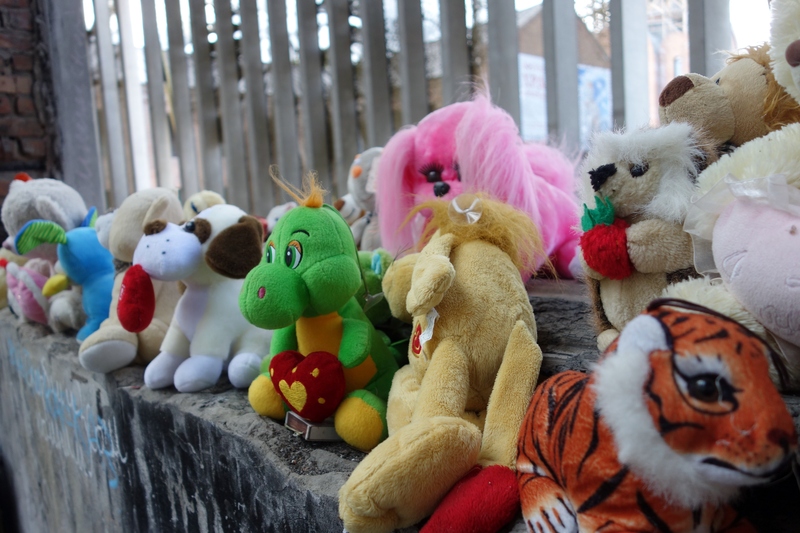 This has led to the suggestion that men disguised as repairmen had concealed weapons and explosives in the school earlier in the year and provides further evidence to those that argue that the Beslan incident was an inside job. 7) Forensic tests conducted on 21 of the dead terrorists established that they were high on heroin and morphine. Large quantities of methamphetamines were also found in their system. 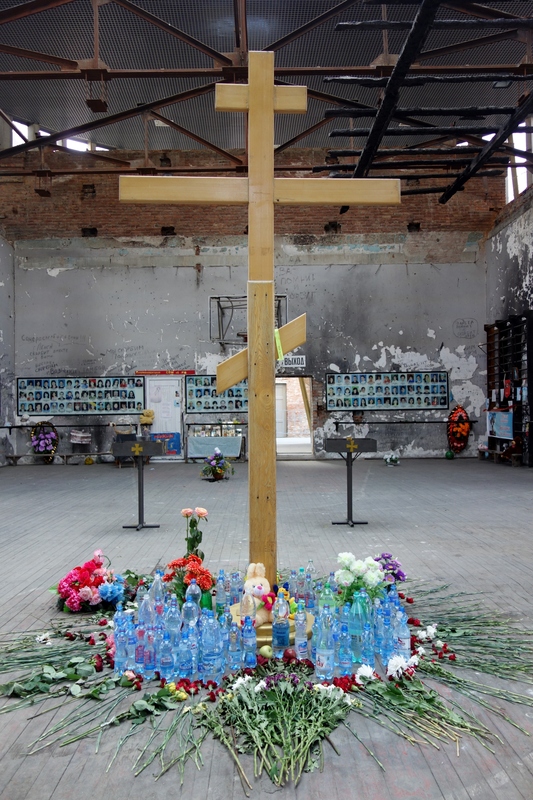 The use of drugs by terrorists is nothing new and would explain the ability of the terrorists at Beslan to stay awake for so long and to continue fighting despite severe injuries. Aside from the drugs, the terrorists were also reported by Russian authorities to have listened to German band Rammstein on personal stereos in order to stay pumped up. Ultimately, when dealing with a government – especially the Russian government – it is particularly difficult to dig down to that elusive truth. Some, including former FSB operatives, even argue that the FSB itself orchestrated – or at least facilitated – the attack. It’s likely we’ll never learn the full story. On December 16, 2014, a terrorist team from the Tehrik-Taliban Pakistan (TTP) carried out an attack on the Army Public School in the city of Peshawar, Pakistan. Over 1,000 children and teachers were taken hostage and 145 were killed – 132 of these were schoolchildren. Those tragic numbers make this the most deadly terrorist attack in Pakistan’s history. The similarities between the attack on Peshawar’s Army Public School and Beslan’s School Number One are striking – to the point that it is very difficult to not conclude that the one inspired the other. In fact, the leader of the massacre at the Army Public School was a Chechen – operating under the name Abu Shamil – that, obviously, would have been very familiar with the events at Beslan. 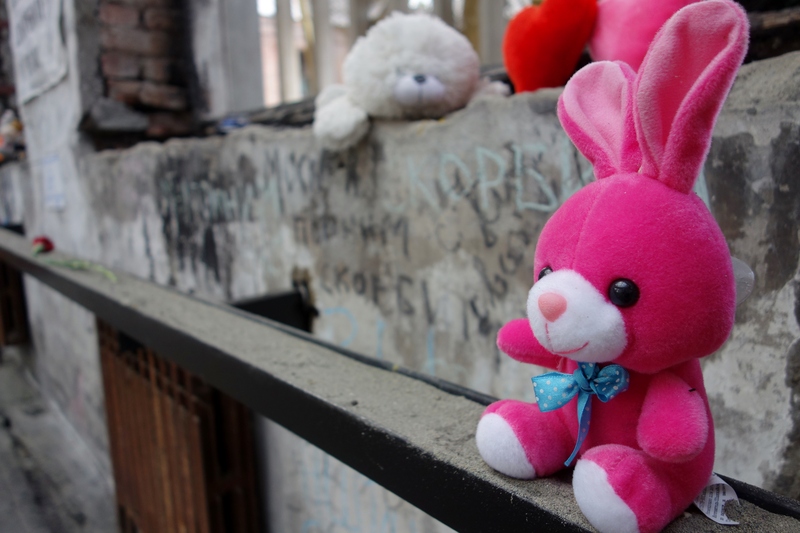 Thus, it would seem that the fallout from the Beslan school massacre is still spreading – even more than a decade later and thousands of miles away. 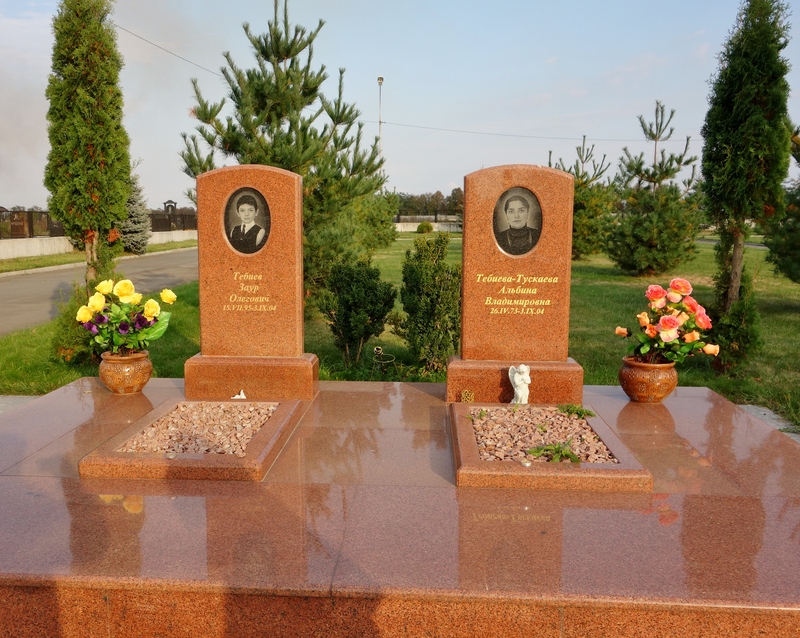 Tags: Aslan Maskhadov, Beslan, Beslan School Number One, Beslan School Siege, Cemetery of Angels, Khasavyurt Accord, North Ossetia, Riyadus-Salikhin Reconnaissance and Sabotage Battalion of Chechen Martyrs, Russia, Shamil Basayev, Spetsnaz, The Beslan School Massacre, Tree of Grief. Bookmark the permalink. I must say that Pakistani anti-terrorist force did a good job by not bombing the school with tanks and other heavy weapons. The attack was deadly and a lot of lives were lost but still the situation was handled nicely otherwise there could have been a lot of causalities. Unfortunately Pakistani dictators allowed in Arabs and Chechyns and many other warriors on behalf of international powers and left the place in bad shape for which our children are paying the price. The army over here is very upset because most of children killed belonged to military families and even US drone attacks are not being condemned since they’re helping kill foreigners who can’t keep things in their own homes in good shape but who are messing with peace in Pakistan. I hope the terrorists will subside in Pakistan just like they did in Chechnya. Why do you use the word “terrorist” when describing these Chechen rebels, Justin? Usually you are more objective than that. It’s true that when describing an insurgent attack or even an incident that is fairly gray rather than black and white, I will often use terms like “attackers” or “rebels”. However, if ANYTHING is terrorism, the Beslan incident would be it. You’re going to have to do a lot to convince me that children or animals on any side of a conflict are a legitimate military target and that the word “terrorist” is too strong. The Russian response was far from ideal, but as I mentioned in the body of my article, ultimately none of this would have taken place had the school not been deliberately targeted. And even several of those hostage-takers involved could not stomach it and were killed for their convictions. Are you familiar with the claims that Basayev was an FSB double agent from the start? He was purportedly trained by the GPU and fought for Russia during the 1992-93 Abkhaz-Georgian war. Seems like he served the purpose to discredit the Chechen independence cause by linking it with terrorism targeting civilians and religious zealotry. The Israelis use similar infiltration tactics to discredit Palestinian resistance groups. I was just thinking after reading/watching footage, maybe the woman and child off on their own is the mother who wouldnt leave her eldest child while they baby was given over..either way this is highly tragic and sad.